Offshore tidal power generation (“tidal lagoons”) is a new approach to tidal power conversion that resolves the environmental and economic problems of the familiar “tidal barrage” technology. Tidal lagoons use a rubble mound impoundment structure and low-head hydroelectric generating equipment situated a mile or more offshore in a high tidal range area. Shallow tidal flats provide the most economical sites. Multi-cell impoundment structures provide higher load factors (about 62%) and have the flexibility to shape the output curve in order to dispatch power in response to demand price signals. The tides are highly predictable and permit tidal power to fit comfortably into existing electricity distribution grids. Tidal Electric has written a computer simulation program that uses equipment performance characteristics and tidal data to create a detailed simulation of generation output, water flows and storage, and is used for design optimization. Further content includes a history of tidal power, discussion of tidal power’s place in the renewables market, and discussion of potential hybrid (tidal/hydrogen, tidal/wind, tidal/wave) applications. s put in service at Annapolis Royale, Nova Scotia, Canada in 1982 in order to demonstrate the functioning of the STRAFLO turbine, invented by Escher-Wyss of Switzerland and manufactured by GE in Canada. This 16-megawatt turbine had some difficulties with clogging seals necessitating two forced outages, but has been functioning without interruption since its early days. There are approximately 10 small barrages scattered throughout the world, but they are not intended for commercial power generation. For example, there is a 200 kw tidal barrage on the River Tawe in Swansea Bay, Wales that operates the gates of a lock. China has several tidal barrages of 400 kw and less in size. Numerous studies have been conducted for large-scale tidal barrages in a variety of locations,[iii] but the grandest proposal of all is the 8640-Megawatt Severn Tidal Barrage (“STB”) proposal. A broad range of studies was conducted from 1974 to 1987 on this proposal to dam the Severn Estuary between Wales and England. The tidal range in the Severn is upwards to 40 feet in places and the potential power from a barrage could provide 12% of the United Kingdom’s requirements. Major engineering consultancies, large construction companies, several universities, and the U.K. Government’s Department of Trade and Industry combined to fund and conduct the 13 years of studies costing almost $100 million. A barrage is a dam across a tidally-affected inlet or estuary and blocks the egress to the ocean. Locks can be installed, as they are in France, or not, as in Canada. The lock allows some traffic, but it is a slow and costly alternative to free access to the ocean. Anadromous fish spawn in fresh water and outmigrate to salt water, then return after three or four years to spawn and die, ineffably drawn to the exact location of their birth. Fish are, therefore, instinctively obliged to pass through the turbines of an intervening barrage at least twice. Some fish actually pass through the turbines multiple times during one outmigration or one return. The mortality rate for fish passing through the low-head turbine is about 6%. Fish ladders are sometimes provided as an alternative means of bypassing the dam, but the mortality rate of fish ladders is slightly higher than that of passing through the turbines and most fish avoid them. The intertidal zone is the area that is alternatively wet and dry during the tidal cycles. The wet/dry habitat is unique and only certain types of plants and creatures thrive there. A barrage re-times the tidal cycle and changes the water levels, thereby “moving” the wet/dry intertidal zone, obliging the plant and animal life to adapt or “move” to the new location. The humans living around the headpond of the tidal barrage in Annapolis Royale, Canada, have limited the functioning of the barrage so as to maintain water levels that are nearly normal, but at a cost of about 50% of the potential output of the 16-megawatt unit. Canada’s Bay of Fundy has the largest tidal ranges in the world and has been the subject of numerous studies of proposed tidal power plant installations. Huge barrages have been proposed and one of the major concerns was the fact that coastal process modeling conjectured that the highest tides downstream of the barrage might be raised as much as 9 inches as far away as Boston, more than 800 miles. This finding was controversial, but, even the possibility of such an impact was seen as sufficient to draw lawsuits from every property owner with a flooded basement from Nova Scotia to Cape Cod. Similarly, the Severn Estuary is the outbound pathway for much of the waste created in central England and southern Wales and the proposed barrage would make a 1300 square mile head pond and impede that flushing action, thereby forming the world’s most offensive body of water. 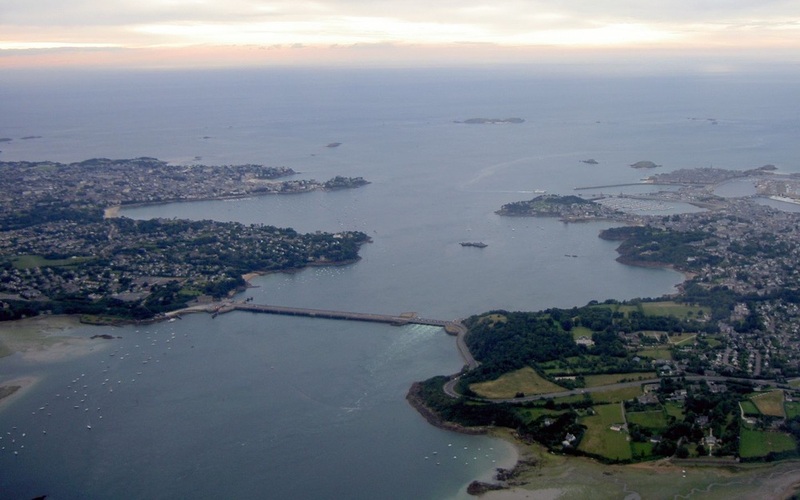 The aforementioned environmental problems of tidal barrages have created opposition from environmental groups and local inhabitants, requiring either (1) costly efforts to overcome the objections through further studies or (2) abandonment of the proposals. The barrage also suffers from high capital costs and a relatively low load factor (environmental considerations limit generation to single-effect ebb tide-only generation) of about 28%. [i] Tidal cycles last 12 hours and 25 minutes in most places. [ii] The tidal dredging kept a shipping channel open for the delivery of coal to a coal-fired power station. When the coal-fired power plant was closed, the tidal basin was donated to the Royal Society for the Protection of Birds (“RSPB”). Subsequently, the shipping channel has silted up, but the RSPB refuses to give back the tidal basin or to resume using it for the dredging activity, as this would disturb the habitats that have developed due to the inactivity. [iii] Clare, R., 1992. Tidal power: trends and developments. Thomas Telford, London. Offshore tidal power generation resolves the environmental and economic problems of the barrage system and puts tidal power generation back amongst the choices for commercial-scale renewable power generation. Rather than blocking an estuary with a barrage, offshore tidal power generators use an impoundment structure, making it completely self-contained and independent of the shoreline (visualize a circular dam, built on the seabed), thereby eliminating the environmental problems associated with blocking off and changing the shoreline. Migratory fish simply swim around the structure[i] and ships and boats navigate past the structure. The optimal site for offshore tidal power generation is the shallow water of near-shore areas, while shipping lanes require deeper water. The offshore siting is the distinctive characteristic of the design and one of the fundamental claims of its patents[ii]. Turbines are situated in a powerhouse that is contained in the impoundment structure and is always underwater. Power is transmitted to shore via underground/underwater cables and connected to the grid. The structure need not be more than a few yards beyond the low tide level and the optimal site is one that is as shallow as possible, thereby minimizing the cost of building the impoundment wall. The impoundment structure is a conventional rubble mound breakwater, with ordinary performance specifications and is built from the most economical materials. In the event of a failure of the structure, the consequences do not include safety issues or collateral property damage. The most likely cause of a failure would be a strong nearby earthquake and the most likely type of damage would be a breach of the impoundment structure. Thus, the principle consequence of failure would be economic (temporary interruption of service) and, therefore, economics are the primary driver in choosing the materials[iii] and construction method. Hydrostatic and hydrodynamic forces increase markedly with depth. The impoundment structure is built on near-shore tidal flats proximal to the low tide level and avoids deeper areas. In contrast, the barrage must span an estuary and must cope with whatever depths exist on the site. In the case of the STB, the depths are up to 40 meters below low water. With every unit of depth, the hydrostatic and hydrodynamic forces increase roughly six-fold. Using a 10 meter tidal range as a reference point, the force that must be withstood by a barrage in 40 meters depth water is roughly 1296 (6 x 6 x 6 x 6) times the force that must be withstood by the impoundment structure built near low water. Barrages must generate primarily in one direction (on the ebb tide) in order to minimize progressive disruption of the intertidal zone that would eventually lead to the silting up of the head pond. The offshore tidal power generator is free to utilize both the ebb and the flood tides for generation, thereby roughly doubling the load factor of the barrage. Double the load factor is equivalent to halving the capital cost per unit output. Both the impoundment structure and the barrage are intended to hold back water. The power of the tides lies only in the tidal range, the difference in water levels between high tide and low tide. The impoundment structure is built so as to perform only that function, whereas the barrage also holds back all the water below low water level and all the water in the intertidal zone. None of this water produces any power, yet it is very costly to contain. The offshore tidal generator uses conventional low-head hydroelectric generation equipment and control systems. The equipment consists of a mixed-flow reversible bulb turbine, a generator, and the control system. Low-head hydroelectric generation equipment has been in existence for more than 120 years and state-of-the-art equipment is mature, mechanically efficient (96+%), familiar (over 100,000 units in use world-wide), reliable, and durable (the equipment comes with performance guarantees and a design life of over 50 years.) Manufacturers/suppliers include Alstom, GE, Kvaerner, Siemens, Voith, Sulzer, and others. [i] The barrage obliges the out-migrating and returning fish to pass through the turbine. The offshore impoundment structure presents no more of a hazard to fish than would a new sandbar and fish instinctively avoid swimming through a turbine. [iii] Loose rock, concrete, and marine sheetpiles are among the types of appropriate materials for the impoundment structure. Tidal cycles are calculated using harmonic constants defined by the rhythmic movements of the sun, moon, and earth. The earth is spinning, precessing, and pulsating in concert with its celestial neighbors in an ever-changing and infinite series of movements that causes the oceans to rise and fall. This complex pattern has been closely observed for eons and is now known and mathematically predictable, down to the finest detail across the broadest reaches of time. It is possible, if it strikes one’s fancy, to know the precise tidal level at a specific location at a specific moment 100 years or 1000 years in the future. Wind and weather cause changes under extreme conditions (“tidal surges”) and these events are not specifically predictable, but the basic harmonic changes in water levels caused by the tides are eminently predictable. On a global scope, the tides are a one meter high bulge in the level of the ocean that moves across the globe every 24 hours and 50 minutes. As this bulge nears land, it is changed in amplitude[i] by the decreasing depth and anomalies of the seabed. At the extremes, some tidal ranges are as small as 6 inches and some are as large as 60 feet. Broad-mouthed estuaries create the largest tidal ranges and long straight coastlines tend to have the smallest. The power available (per unit area) in any specific location is a function of the square of the tidal range and thus the largest tidal ranges are the most attractive areas for tidal power generation. The output of any hydroelectric generating plant is dependent upon the head available. [Head = Pressure x Flow] The pressure is determined by the tidal range and the flow is determined by the amount of water available. The amount of water available in an offshore tidal power generator is a function of the area of seabed impounded. It is most economical to build an impoundment structure in a shallow area, so it follows that the most attractive sites for offshore tidal power generation are those where the tidal range is high and there are broad tidal flats at minimal depth. Highest output is achieved from hydroelectric turbines by operating when the available head is highest. The available head is highest at extreme low tide and extreme high tide. These periods are roughly two hours in length, but there is relatively little change in water level during the half hour preceding and the half hour after each of the extreme lows and highs. By including these 30-minute “shoulder” periods, a 3-hour generation period is achieved twice per tidal cycle. Thus, one can effectively generate at optimum levels for roughly half of each tidal cycle[ii]. Unfortunately, tidal cycles do not correspond to daily cycles of demand for electricity. The tidal cycle is known and the performance characteristics of low-head hydroelectric generating equipment are also known. By combining these two known sets of parameters, one can simulate the output from a tidal power plant and model a variety of configurations with accuracy and detail. Following is a description of the simulation model used by the author and created by John Haapala of Harza Engineering (now Montgomery Watson Harza Engineering). The model determines tide levels at 6-minute intervals for any day, month, or year for the period of years between 1949 and 2025. The tide levels are predicted from a series of harmonic equations as provided in a FORTRAN program developed by NOAA, in the case of US sites or by the British Admiralty, in the case of British sites. Predicted tide levels may vary from actual tide levels due to weather conditions such as wind and atmospheric pressure. A comparison of tide levels predicted by the model and actual recorded tide levels showed agreement well within acceptable limits for a feasibility study. The constantly changing tidal regime would cause generation to vary by several percent from year to year. Other things being equal, it was found that during a high generation year (1998) project output would be about 8% greater than in a low generation year (2005). This cycle is known as the nodal cycle. A hypothetical equipment package is selected and its operating parameters are input and an impoundment size is selected, which defines the amount and timing of water available and the sequence of heads available. Together, these parameters determine the turbine flow and efficiency as well as the generator efficiency. Because the turbines have minimal heads, there are periods of sluicing that are essential to the operation in order to maximize or minimize the water levels in the pool in preparation for the next generation cycle. Some of the sluicing flows through the turbines and sluice gates provide addition sluicing capacity. Transmission line losses are included to the point of interconnection where the sale of electricity is metered. Some electricity use normally occurs at the project site, which is accounted for in the station use factor. The forced outage loss factor should account for average outages of all types over the economic life of the project. Outage losses would include factors such as transmission line forced outages, and down time for equipment repair, both scheduled and unscheduled. The simplest generation profile is the single pool impoundment. A tidal barrage can be said to be a single pool/single effect generation profile, because it typically generates only in one direction, on the ebb tide and sluices on the flood tide. The single pool offshore tidal generator operates on both the ebb and the flood tides and can be termed a single pool/double effect generation profile. Generation is maximized when turbine flow is concentrated at maximum head where the highest turbine efficiencies are achieved. With the single pool concept, generation should not normally begin immediately when a minimum operating head is available. By waiting until more head develops, the same flow can be used at a higher head to develop greater energy. The single pool generation profile produces a load factor of 48% with power available roughly half of the time. [i] Only under rare circumstances is the period of the tidal cycle changed. [ii] Three hours at low tide and three hours at high tide. Load factor is roughly 48%, using this profile. The tidal barrage dominates the long history of tidal power, but the barrage is not suitable for modern commercial-scale power generation, given its environmental drawbacks. Offshore tidal power generation resolves the drawbacks of the tidal barrage without departing from the use of familiar low-head hydroelectricity principles and equipment. Thus, while offshore tidal power generation must be considered “new,” it cannot be considered “experimental.” Interest in renewable source power conversion is on the rise as the damage from burning fossil fuels becomes ever more evident and expensive. Offshore tidal power generators bring tidal power back within the range of feasible choices for electricity distributors, as it promises to be economical as well as environmentally neutral. Hybrid applications involving other renewable power sources may provide further alternatives and real-world solutions to the need to switch to renewable and sustainable power sources.